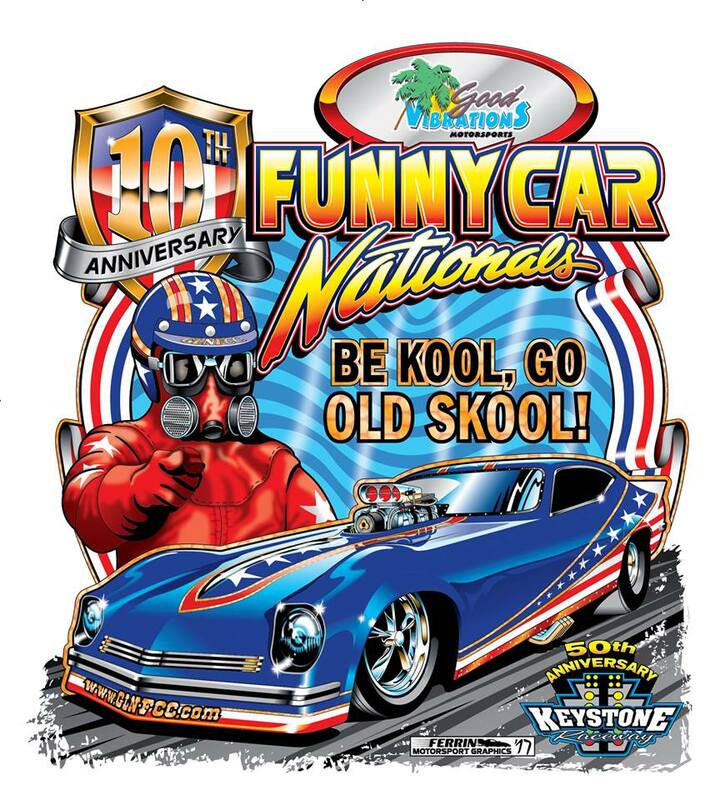 Watch the 2018 Funny Car Nationals LIVE! 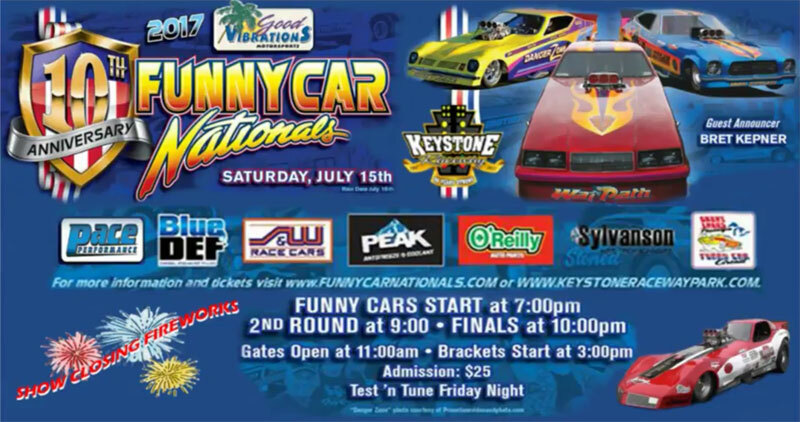 Thanks to Motor Mania TV and Keystone Raceway Park the 2018 Good Vibrations Motorsports Funny Car Nationals will be streamed live all day for FREE on Saturday, July 14th. The event is scheduled to be on channel MMTV3. 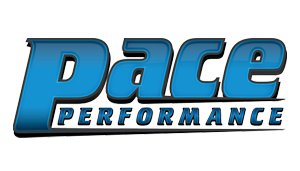 For more information visit and bookmark www.motormaniatv.com. 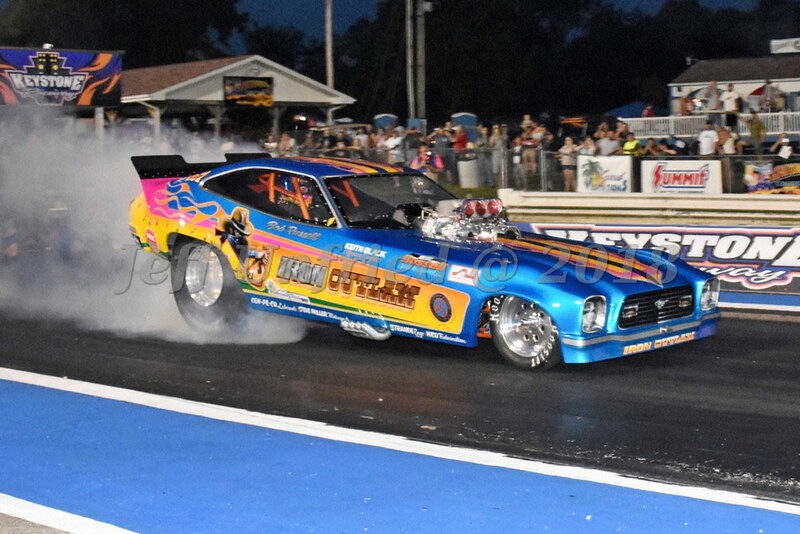 Comments Off on Watch the 2018 Funny Car Nationals LIVE! Back at Keystone Raceway Park in New Alexandria, PA the 2018 Good Vibrations Motorsports Funny Car Nationals features an open show of more than 24 nostalgia funny cars. 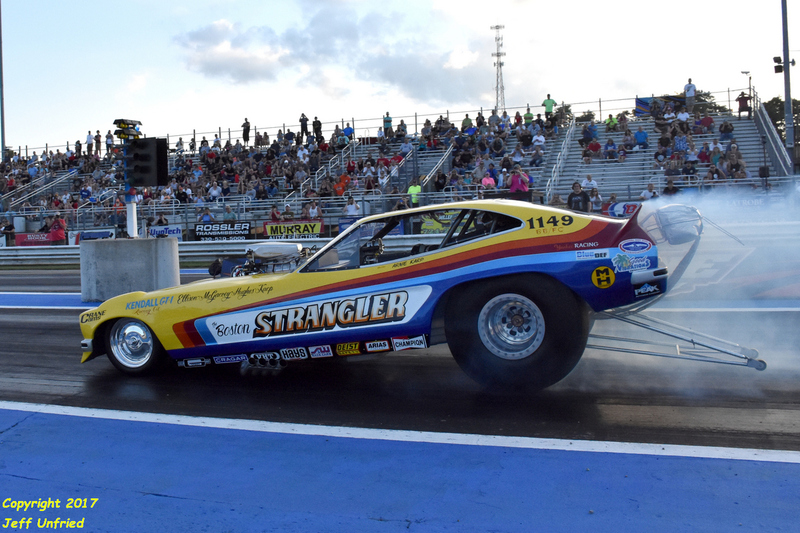 In its 11th year, the show brings fans side-by-side smoky burnouts and passes in these 70-80's era blown alcohol nostalgia funny cars. Missed the FCN? Here’s the replay! 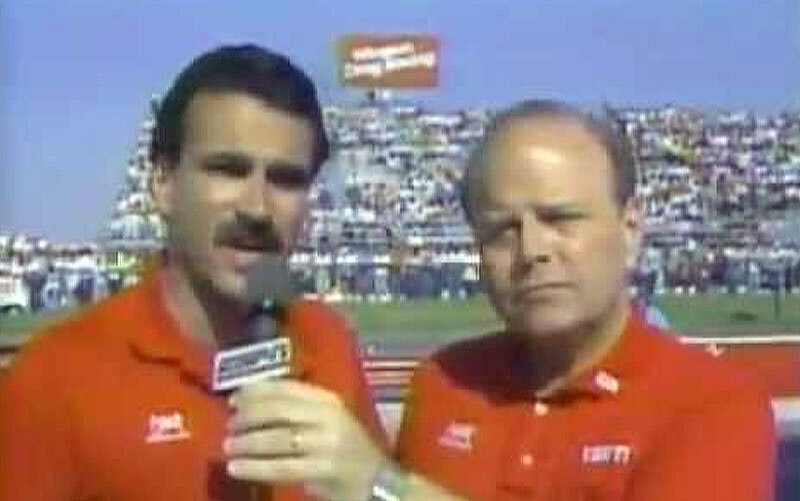 Comments Off on Missed the FCN? Here’s the replay! 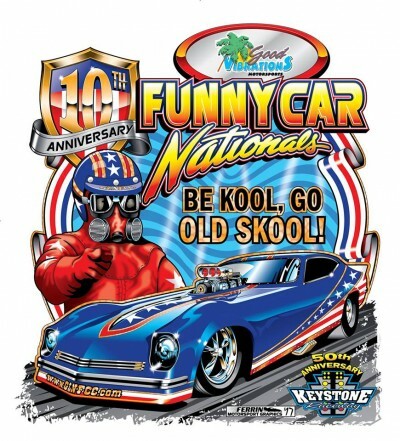 Watch the Funny Car Nationals LIVE! 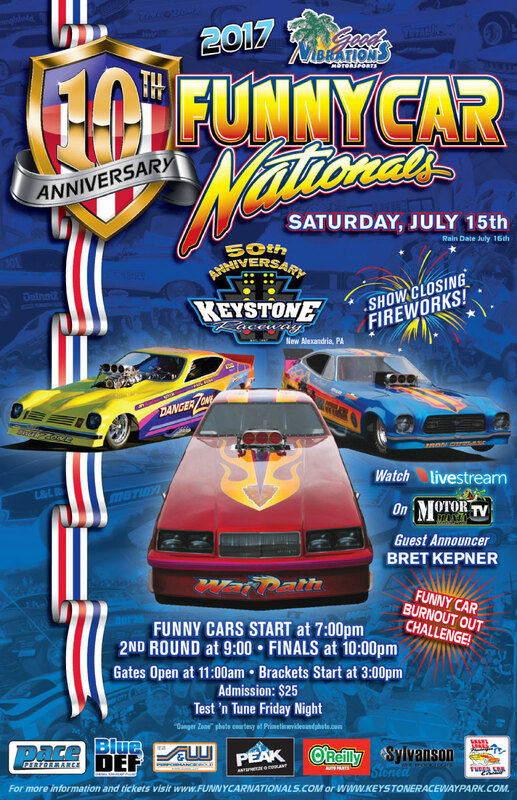 Thanks to Motor Mania TV and Keystone Raceway Park the 2017 Good Vibrations Motorsports Funny Car Nationals will be streamed live for FREE on Saturday, July 15th. Visit and bookmark Motor Mania TV. The event is scheduled to be on channel MMTV1. For more Motor Mania TV coverage of events visit https://livestream.com/MotorManiaTV. Over 32 funny cars will race a Chicago-style event pitting the teams in a battle to determine who is the best. 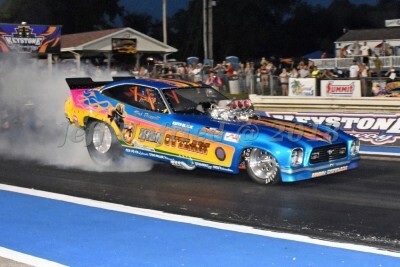 You'll see big burnouts, dry hops and side-by-side racing. 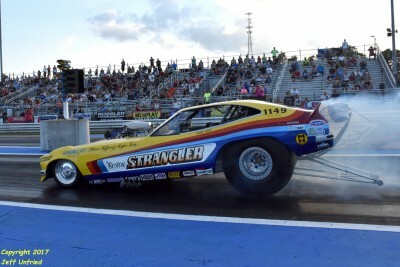 Copyright © Great Lakes Nostalgia Funny Car Circuit. All rights are reserved.